At this time, Wilton is not recruiting new instructors in the US or Canada. If you are interested in teaching or taking a class in the US or Canada, please contact your local Wilton retailer directly. 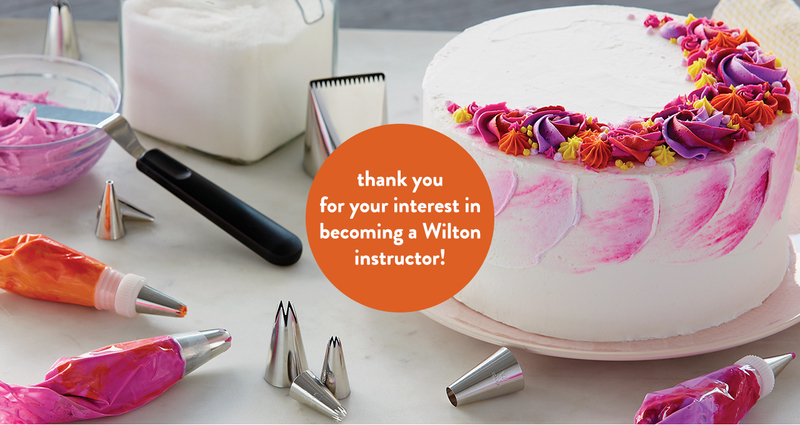 For information about becoming a Certified Wilton Method Instructor outside of the US and Canada, please contact your local Wilton dealer or distributor.